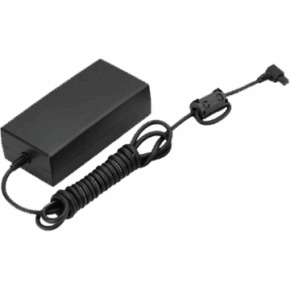 The EH-6A AC adapter for the Nikon D4 includes the EP-6 AC Power Connector that allows you to plug the camera directly into an AC wall outlet by connecting the power connector directly into your D4's battery chamber. This allows continuous power for your D4 without needing to change out batteries, which can be essential while downloading images to a computer or during a long studio/video shoot. This does not charge your D4 battery while it is still in the camera. The power connector keeps your camera running via AC power in place of your battery.